George Harden Gibson, Jr., 85, a long-time Pleasant View resident, passed away peacefully on Saturday morning, February 9, 2019 in Ogden with his family by his side. Born July 23, 1933 on his family farm in Hartford, NY, George was the eldest of six children of George Harden and Barbara Florence Neff Gibson. Raised in Hartford, George received his Bachelor’s degree in Agricultural Engineering from Cornell University where he began his USAF military career in the ROTC. He later graduated with a Master of Electrical Engineering degree from the University of Colorado, Boulder in 1966. George met the love of his life, Diane DeFreitas and they were married on December 27, 1959 in Wichita, KS. George and Diane just celebrated their 59th anniversary together. George served during the Vietnam War and continued serving his country in a distinguished manner, retiring after 30 years in 1984 as a Colonel, with HAFB as his final duty assignment. 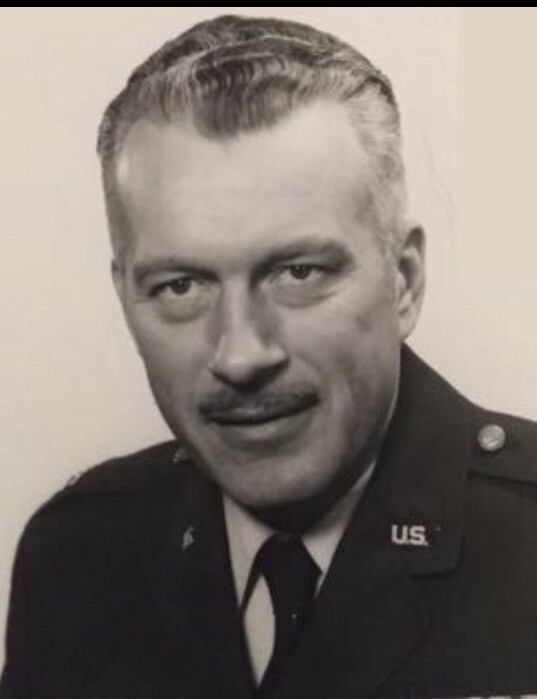 He spent most of his career in the Strategic Air Command working in aircraft maintenance and logistics. Some of his highlights of service included four tours of duty in Vietnam, Maintenance Officer for the U2 program, and Commander of the Defense Depot Ogden from 1978 – 1982. Even after retirement from the Air Force George had more work ethic than time. After 10 years with Hercules, he began his own business keeping busy in residential construction and repair. He started the business so that he could stay busy, feed his passion for tools, and help people where he could. George was not only patriotic, but a man of deep faith and a passion for sharing his faith in his own quiet way. He has always been active in the church´s where he was a member, starting with the Hartford Congregational Parish as a young man, and continuing to be a driving force with St Michael’s Episcopal church in Brigham City. He has served in many positions St Michael’s and the Utah Episcopal Diocese including being chosen as a Senior Warden. He also led a bi-weekly bible study over the past 10+ years. He was active in the Boy Scouts of America starting as a young man earning his Eagle Scout in Troop 40 in Hartford, New York. He served in many roles including Scoutmaster and ending as a board member with the Lake Bonneville Council. For his exceptional BSA service he was awarded the Silver Beaver. He was also a strong supporter of the American Red Cross and The Salvation Army, where he was an active member of both organization’s boards. And he could be found every Christmas ringing the bell for the Salvation Army. George loved woodturning, skiing, and boating. A jack-of-all-trades, he could literally build or fix anything. Most of all, George loved his family. George is survived by his wife, Diane Gibson, Pleasant View; children, Jess (Beverly) Gibson, Santa Clara, CA, Scott (Ingeborg) Gibson, Norway, and Barbara (Russ) George, Draper; and 8 grandchildren, Landon, Connor, Madeline, Berit, Molly, Jack, Garrett, and Matias; and brothers, Phillip, Steven (Ginger), Bruce (Barbara), and Andrew (Sharon) and his sister-in-law Jane Gibson. He was preceded in death by his parents and one brother, Kenneth Gibson. A Memorial Celebration of Life will be held at 2 p.m. on Saturday, February 16, 2019 at St. Michael’s Episcopal Church, 589 S 200 E, Brigham City, where military honors will be accorded. Cremation services in care of Lindquist’s Ogden Mortuary. The family wishes to thank Dr. Carrera and the professional staff of Ogden Regional Medical Center for their kind and expert care. In lieu of flowers, memorial contributions are suggested to the Salvation Army, give.salvationarmyusa.org.